by NRA-ILA: For someone who has previously falsely accused the NRA of funneling foreign money into domestic politics, it must be that David Hogg either forgot he was in Canada recently or failed to appreciate that it’s also illegal under U.S. law for Canadian citizens to vote in U.S. elections or contribute to U.S. political campaigns. The occasion was the premiere of Michael Moore’s latest film at the Toronto International Film Festival. The movie apparently focuses on what Moore perceives as problems with the Trump administration and America in general. And who better to showcase his handiwork to than a non-U.S. audience already primed to feel morally superior to those zany Americans who insist on doing things their own way? After the film, Moore took to the stage with like-minded activists for a panel discussion and Q&A session. With him were David Hogg and other youthful gun control advocates. After introducing Hogg, Moore handed him the microphone. As video of the event demonstrates, that’s when things started to get awkward. That line might be a rousing call to action in suburban Massachusetts or Illinois, but it was a strange opener for a crowd that predominantly would not identify as American. He then described a litany of the problems “we face as a country,” oddly (for a gun control advocate) focusing on the disenfranchisement of convicted criminals. “Turn that shame into your vote,” he challenged the crowd. The crowd’s response, initially enthusiastic, had by then started to taper off into polite applause. Moments later, Hogg had meandered into commentary on the war in Afghanistan, again prompting Moore to reach for the microphone. 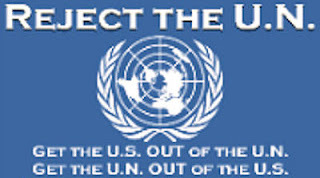 As the Federal Election Commission (FEC) website makes clear, federal law imposes “a broad prohibition on foreign national activity in connection with elections in the United States.” It is also illegal to knowingly solicit political donations from foreign nationals. And, of course, these rules are enforced by the FEC, not the IRS. This is not the first time Hogg has made legally questionable statements in public. In May, Hogg became mad at Florida-based supermarket chain Publix for making contributions to a political candidate who also happened to be endorsed by the NRA. The company, like many companies, was in the practice of supporting candidates of all stripes it viewed as favoring pro-business policies. 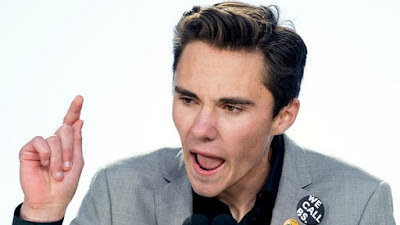 Hogg also demanded that the company donate $1 million to a victim fund set up for survivors of the murder spree at his high school in Parkland and that it never again contribute to any NRA A-rated politician. This led some to suggest that Hogg was flirting with the line between political advocacy and extortion. If Hogg is going to publicly advocate for legal and political reform, he’d do well to at least acquaint himself with the existing laws that govern his own activity. Tags: NRA-ILA, Gun Control Activist, David Hogg, Urges Canadians, to Get Involved, in U.S. Politics To share or post to your site, click on "Post Link". Please mention / link to the ARRA News Service and "Like" Facebook Page - Thanks!